It’s the first sign that winter is almost over! (depending on mother nature) Join us at The Greenwich annual St. Patrick’s Day Parade on March 24th, in a tradition as old as volunteer firefighting. The kick off with pipes and drums will be at 2PM. We will review the Parade on Greenwich Avenue. Then the Lynn Academy of Dance will perform a family friend-ly concert of holiday ballads, songs and dance at 3pm in the Rock Room. 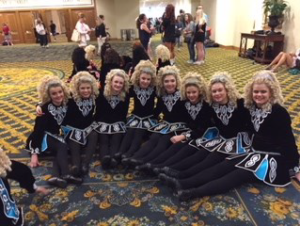 Some of the dancers have traveled to Ireland to compete!